As gardeners we all understand the importance of good equipment, and that having a passion for gardening can lead to great health and mental benefits. 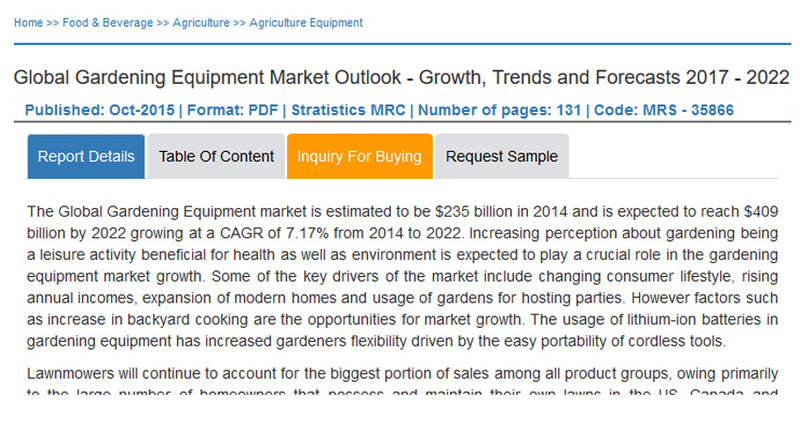 However it also seems that the general population is trending towards this more than ever, with the ever growing availability of free information leading to a projected 7.17% growth in the gardening equipment global market between 2014 and 2022. The greatest increase is expected to be within the Turf and grounds categories, due to the resurgence of landscaping in developed nations.